The faculty of Languages and Translation held a symposium for the Spanish Consul General on Tuesday 27/10/2017. 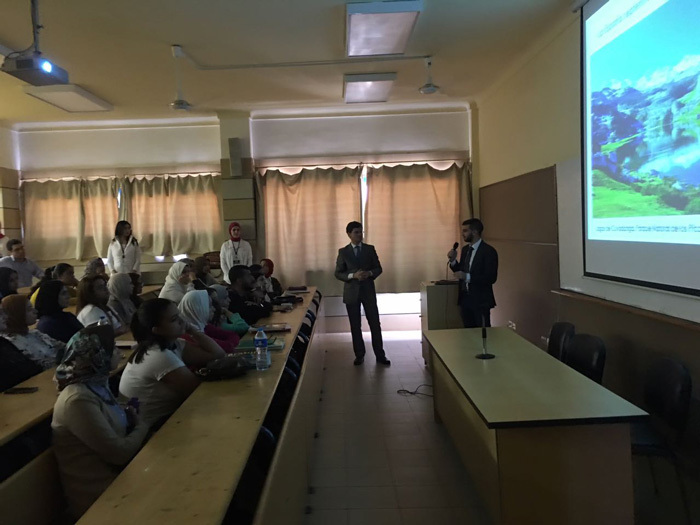 The Spanish Consul General gave an outline of the Spanish history and drew a comparison between Spain’s most popular tourist attractions and their Egyptian counterparts. He also acquainted the attendance with the Spanish cuisine and the most popular Spanish dishes. 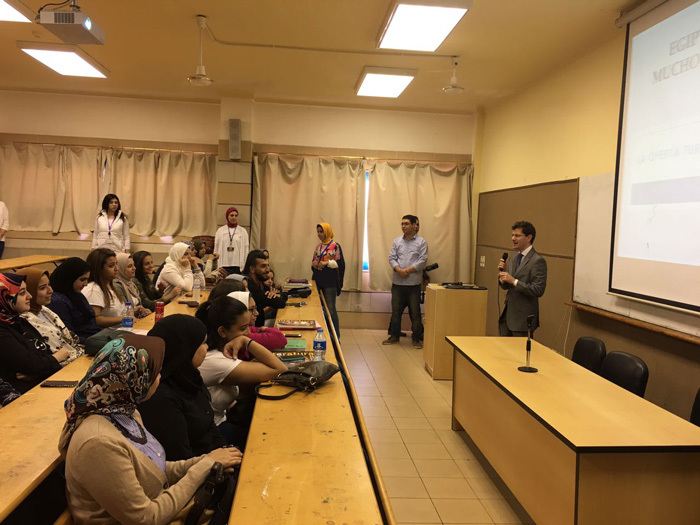 The students then asked the Spanish Consul about how they can develop their skills at Spanish language as well as his personal experience in living in Egypt. 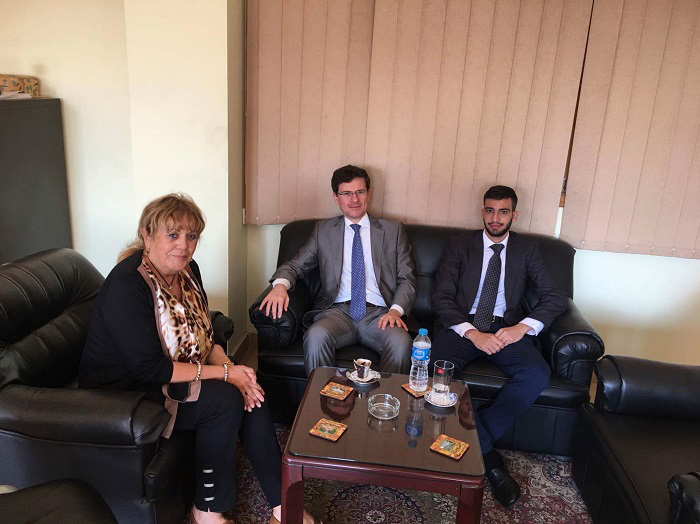 The symposium was held under the auspices of Prof. Leyla Kamel, the faculty Dean and Prof. Ramadan Abu El-Ala, the Vice President of Community Service & Environment Development Affairs. 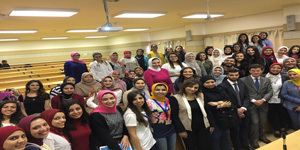 The event was coordinated by Mrs. Rania Bassiouny, the leader of the faculty student activities.